I have browsed these forums since I got my Accord a year ago and found the info very interesting. I have a problem, The exhaust on my Accord needs replacing from the cat back. The single pipe to twin section is shot as is the box leading into it from the cat. Best plan would be to replace it all but I can't find one other than from Honda which is expensive. Around £800! Any suggestions? A custom stainless steel one is the best suggestion so far but not had a quote yet. Car is a 2003 2.4 petrol automatic. Exhaust has twin rear silencers/tailpipes. I would say go stainless custom, u can choose the sound, choose the tail pipes and I don't think it would be anymore than £350 -£400? 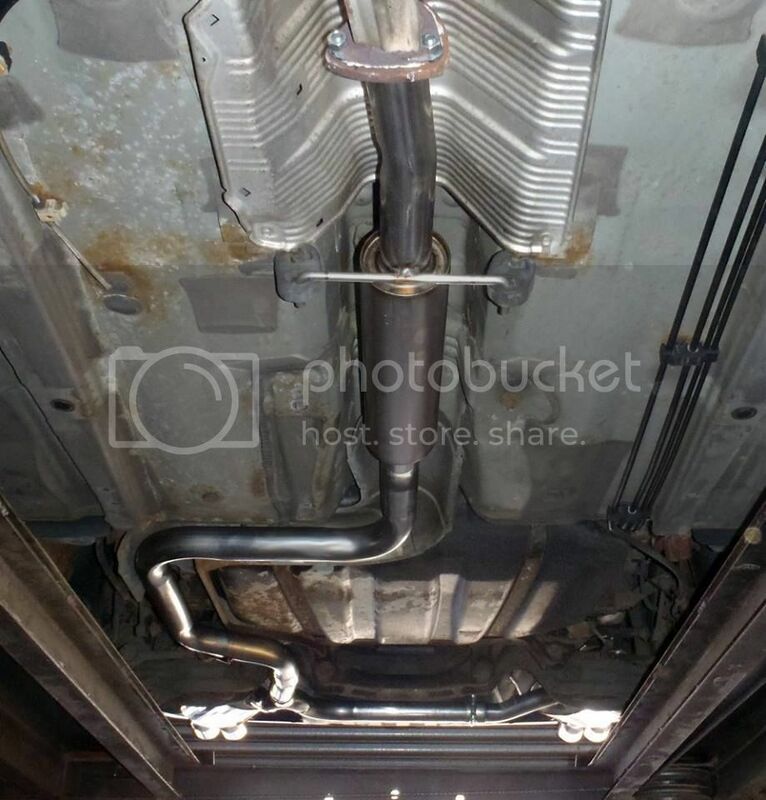 Try ringing HH, and mention the forum, they were selling full exhaust systems for about 300-400 pounds. Sorry new to the forum who / what is HH? Hi Kris81. Yes, Stainless steel is looking like my only option. Thanks for confirming my thoughts and it sounds like a much better price the Honda one which is about double that! Tourer or Saloon? I paid £260 for mine from HH last year. I had a custom stainless steel system fitted. Cheapest quote I got was £490. 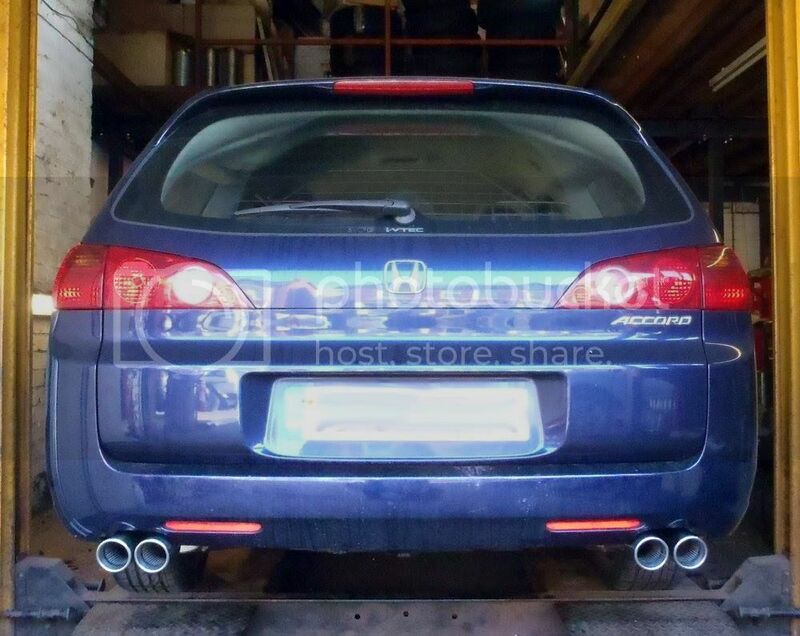 I got a complete genuine honda system for about £400 for a 2.4 tourer from a local supplier . Just thought id add, Just ordered mine from HH, £283 including gaskets delivered. That was for manual saloon. My exhaust broke today, where the oval splits in two. Not enough meat on the pipe to weld it. 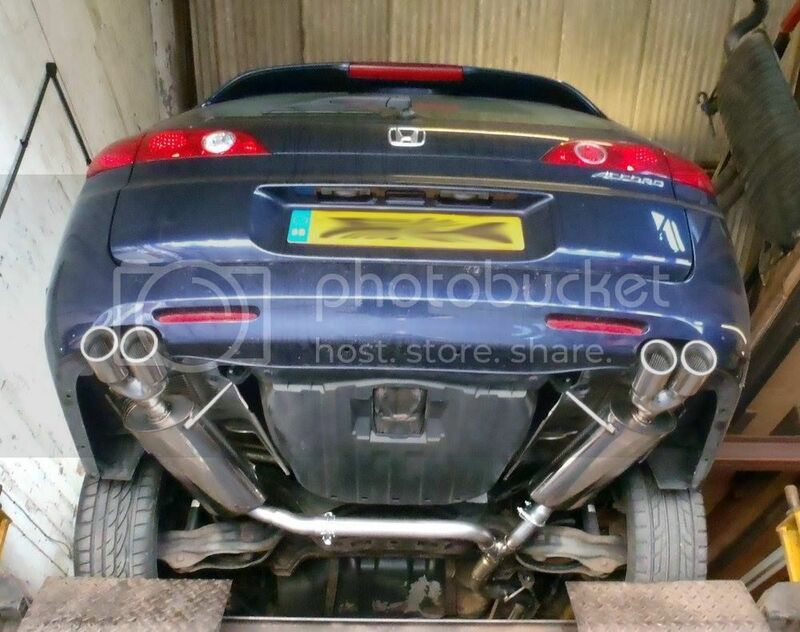 Is Holdcroft Honda quite good for this price of £283 for the cat-back system? Edited by krism, 15 April 2015 - 06:03 PM. Yes that's a great price.